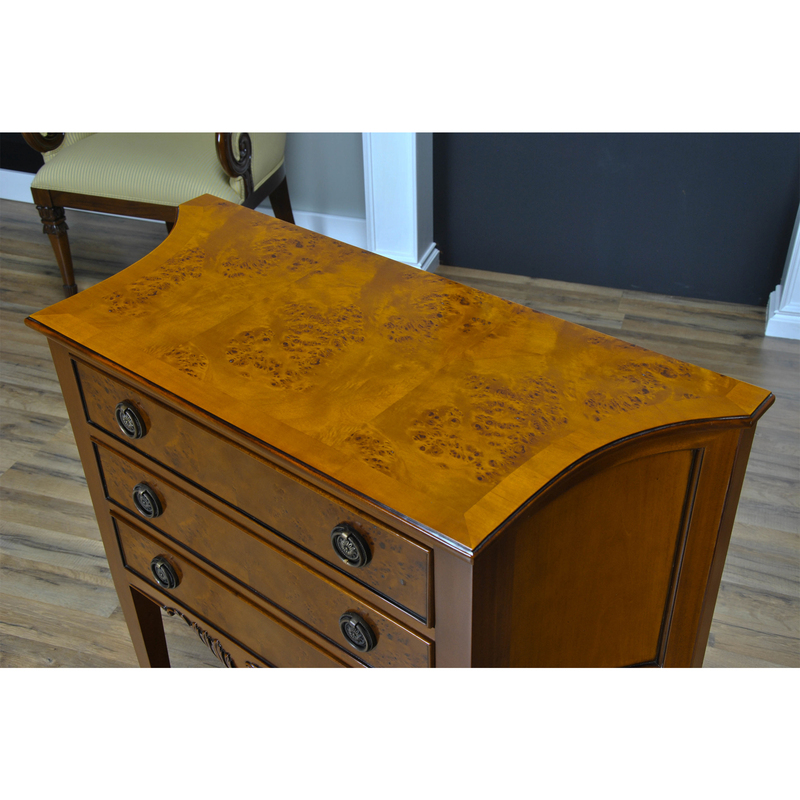 A Small Burled Sideboard from Niagara Furniture. 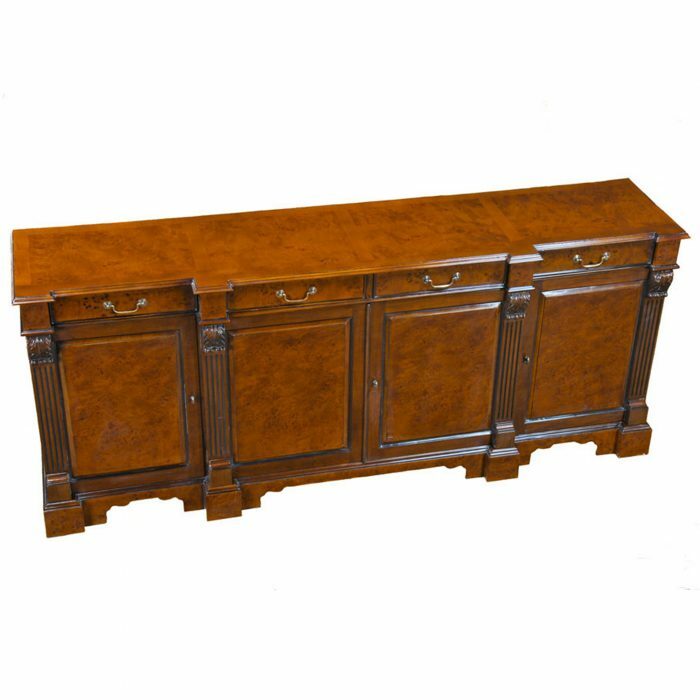 This perfect size Hepplewhite inspired sideboard is great for those hard to fill spaces in the dining room. 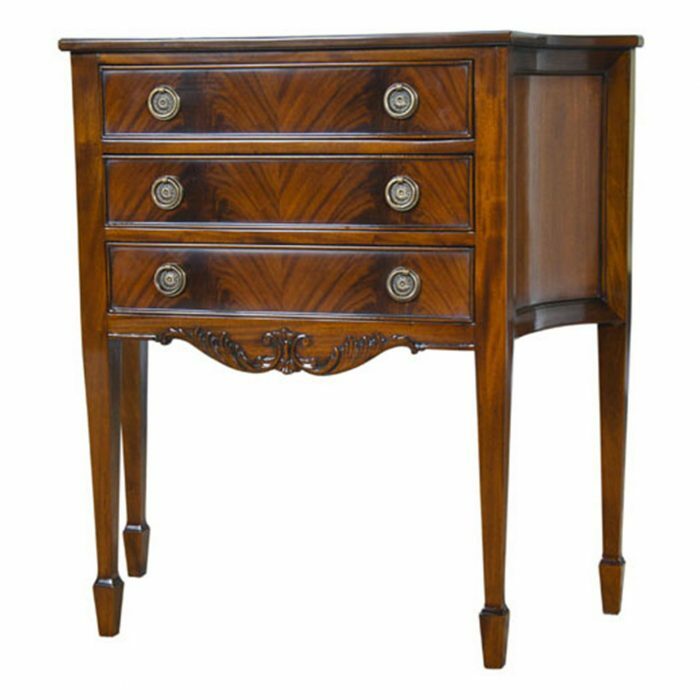 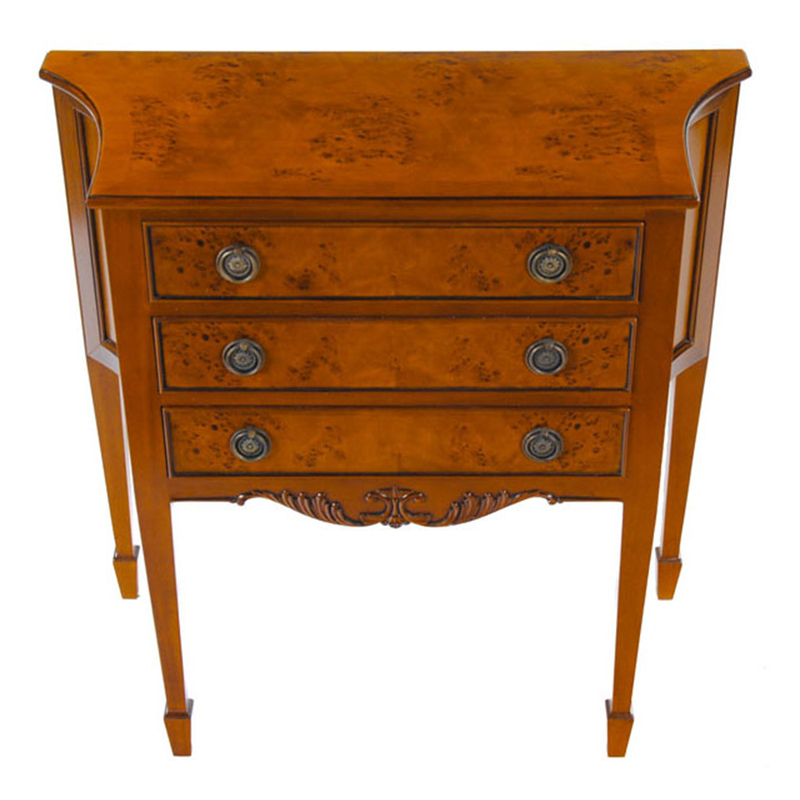 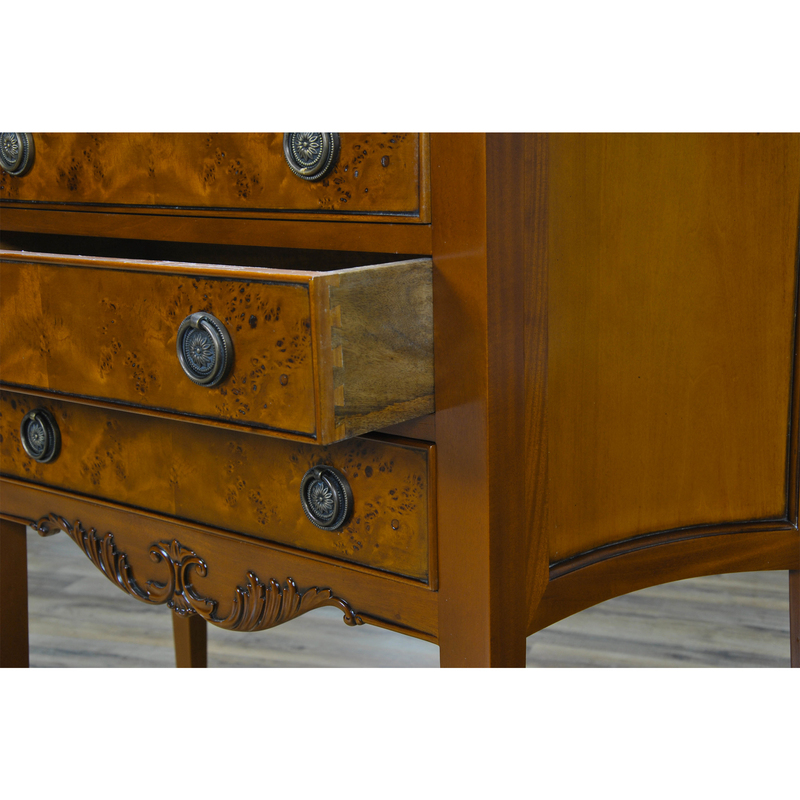 The three drawers are dovetailed and feature designer quality, solid brass hardware. 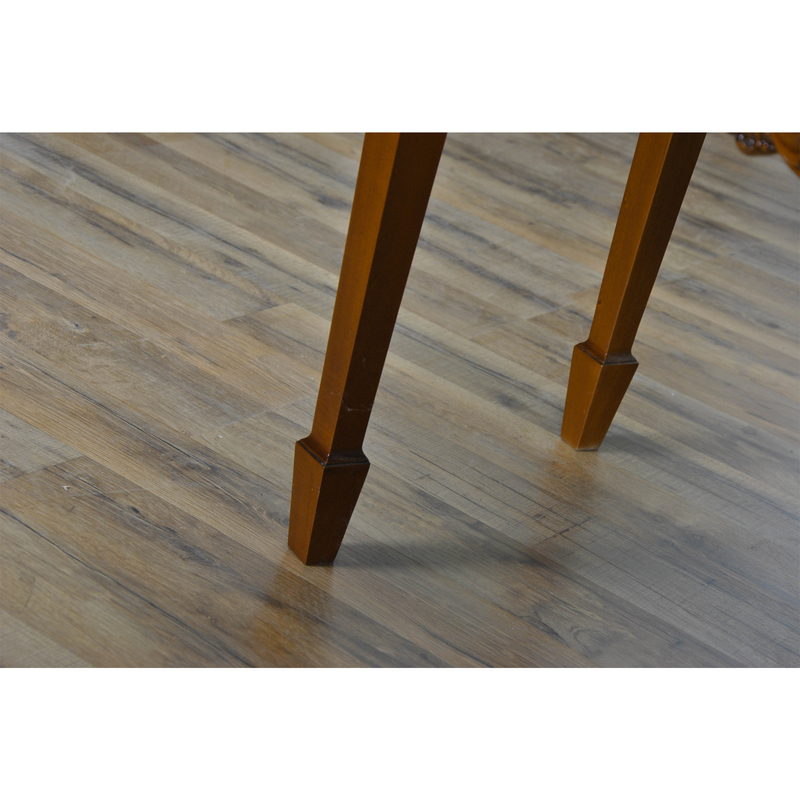 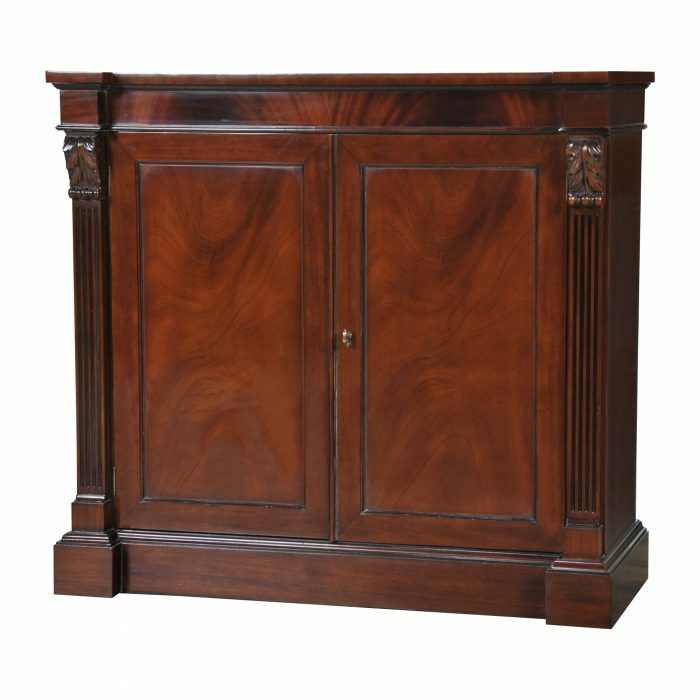 The shaped sides lend elegance and style to any room. 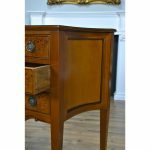 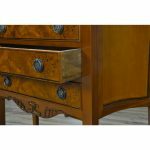 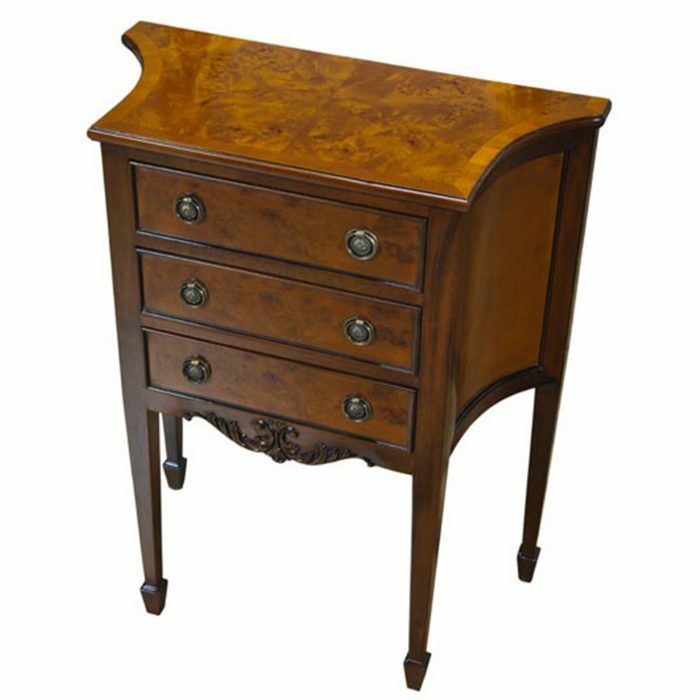 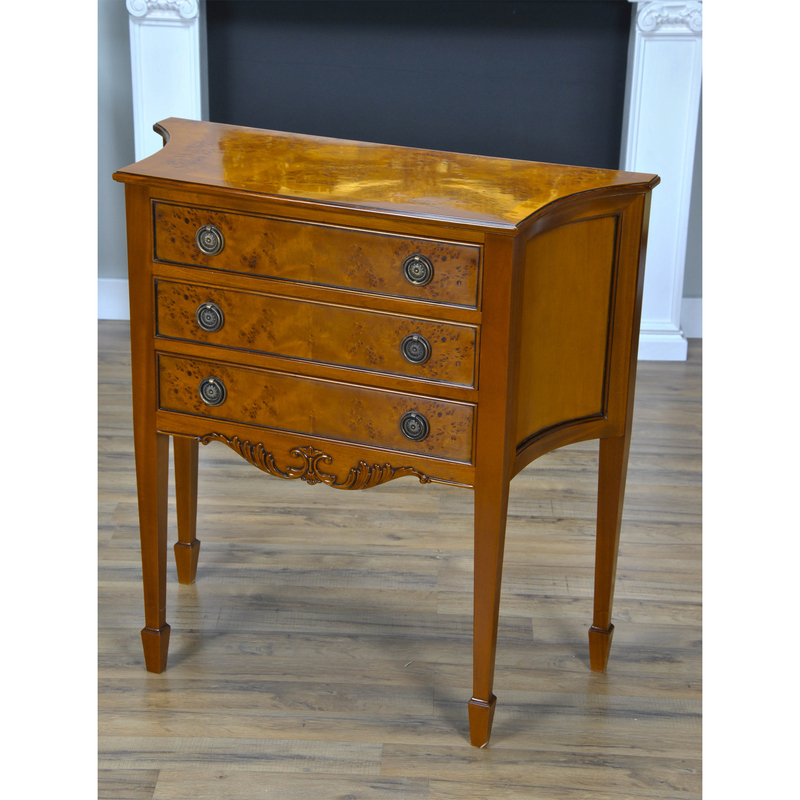 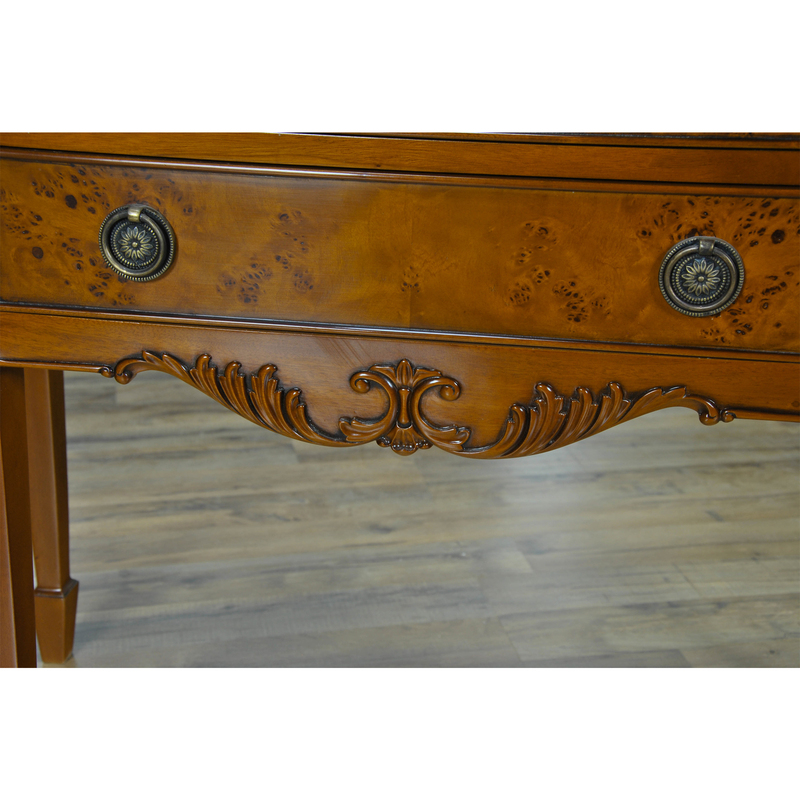 Hand carved details in the skirt as well as tapered legs lend a look of distinction to the Small Burled Sideboard. 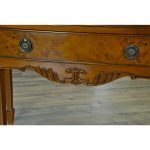 Also great in a variety of settings throughout the home as the three drawers lend needed storage space while the compact size can allow the item to be placed in narrower areas.